The OASE Water Trio is a 3 jet dancing water feature with integral white LED light rings situated beneath each water jet. The water jets are produced by 3 pumps, all wired into a single connection. The illuminated nozzle heads allow for some angular adjustability which enables the user to alter the directional throw of the water jets. The 3 pumps can also be removed from the outer shell and repositioned in different configurations if preferred. There are extension legs supplied (2 per pump) which allow the height of the water feature to be increased if required. The Water Trio will produce dynamic dancing water displays, reaching a maximum jet height of 1.4 metres high. Jet heights can be restricted by selecting suitable programs from the 9 available display options. Programmes are selected via a hand held remote control which is configured with a land-based control box which stores the program information. 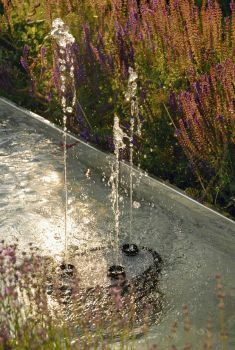 Programs can be selected from a range of up to 80 metres away from the control box which can itself be situated up to 8 metres away from the water feature to which it is connected. The water feature runs on 12 volts via the supplied transformer, making this feature safe for installation into swimming ponds, gardens and patios where activity is likely to take place. The Water Trio is guaranteed for 2 years as standard. 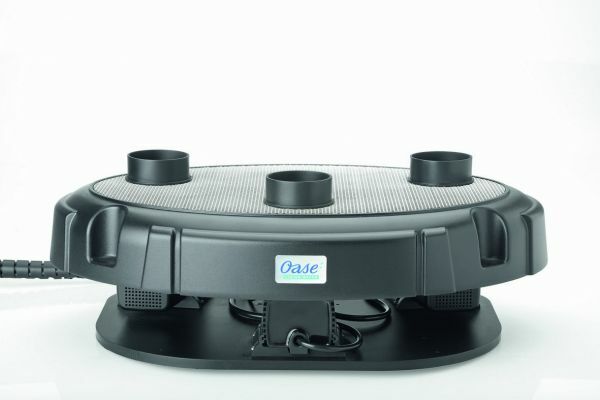 A free 1 year extension to the guarantee is added upon registering your purchase from Water Garden with OASE online. Program 0: All water jets and LED lights OFF. No visible water display. 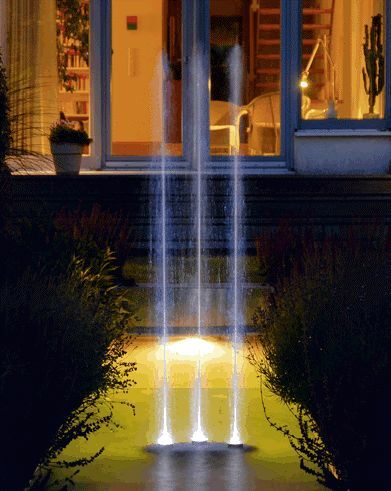 Water Feature Program 1: All 3 water jets and LED lights on constant with water jets reaching no higher than 30cm. Water Feature Program 2: All 3 water jets and LED lights on constant with water jets reaching no higher than 70cm. Water Feature Program 3: All 3 water jets and LED lights activated in dynamic dancing water mode with water jets reaching no higher than 70cm. 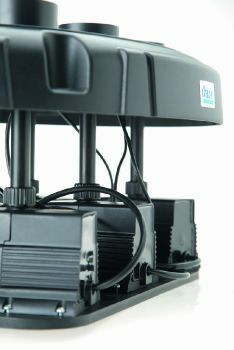 Water Feature Program 4: Single water jet and LED light activated, alternating between pumps at intervals with water jets reaching no higher than 70cm. 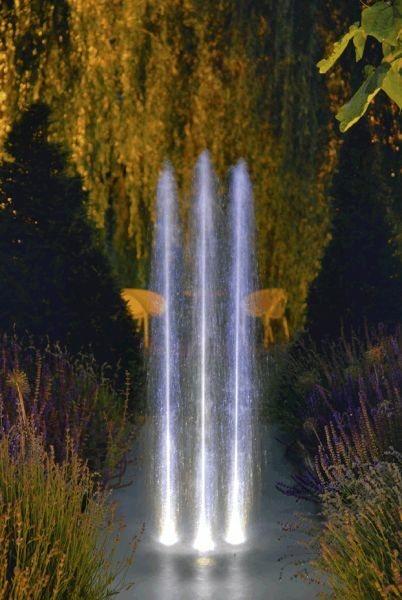 Water Feature Program 5: All 3 water jets and LED lights on constant with water jets reaching no higher than 110cm. Water Feature Program 6: All 3 water jets and LED lights activated in dynamic dancing water mode with water jets reaching no higher than 110cm. Water Feature Program 7: Single water jet and LED light activated, alternating between pumps at intervals with water jets reaching no higher than 140cm. Water Feature Program 8: All 3 water jets and LED lights activated in dynamic dancing water mode with water jets reaching no higher than 140cm. Water Feature Program 9: Multiple water jets and LED lights alternating at different intervals with water jets reaching no higher than 140cm. Note: When the Water Trio unit is switched on, program 1 is always the default setting until other programs are selected. Creating an eye catching, dynamic water display in a pond, water feature, rill, patio or garden with the Water Trio & Water Quintet. The Water Trio & Water Quintet pumps can be adjusted in height (with the supplied nozzle spacers), allowing water levels to vary up to 15cm. 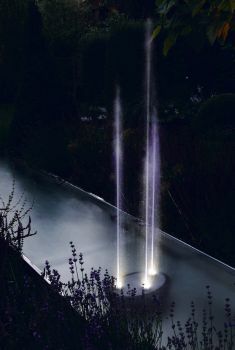 Both the Water Trio & Water Quintet feature individual, high intensity White LED Light Rings,for illumination of each fountain jet. 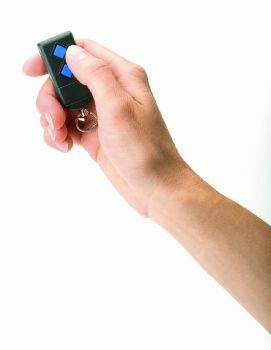 The 12V Control Box is supplied with handheld remote controller, for selection of the 9 pre-set programs and on/off control, with a range of up to 80m. 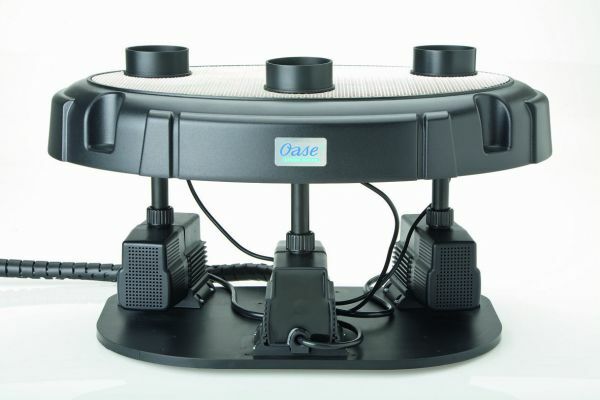 High quality components, individually replaceable pumps and LED Lights are coupled with an Oase 2+1 Year Guarantee, for added peace of mind. With a choice of 3 or 5 dancing water jets, the Water Trio & Water Quintet packages offer stunning visual water displays with budget in mind. 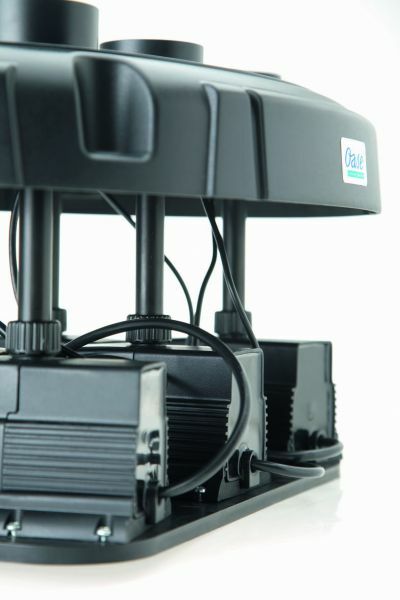 The individual Pumps from the Water Trio (3 pumps) & Water Quintet (5 pumps) can be easily removed and each pump repositioned in a wide variety of configurations. 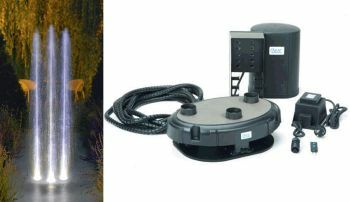 The only limiting factor is the distance between the submersed pumps and the land-based controller (cable lengths are approximately 8 metres each to the land-based control unit). 1. Submerse the individual pumps into a garden pond, formal rill or open water reservoir. Raising the pumps up from the pond floor will prevent debris from potentially blocking the pump nozzles. The individual fountain pumps can be positioned in a wide variety of configurations, offering creative dancing water displays. 2. 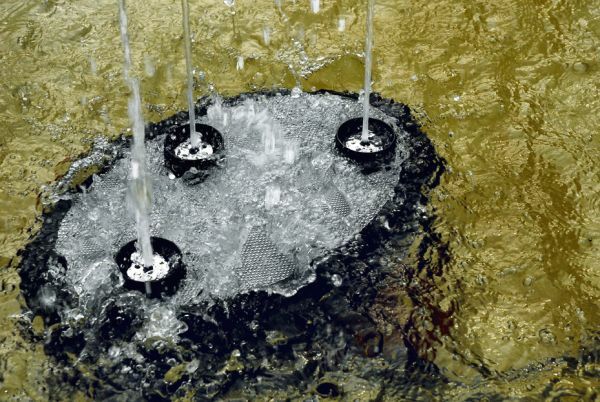 Suspend the individual pumps (via the LED-ring protector) to the Circular Steel Grid supplied with our Patio & Garden Installation Pack or our Below-ground water reservoirs. 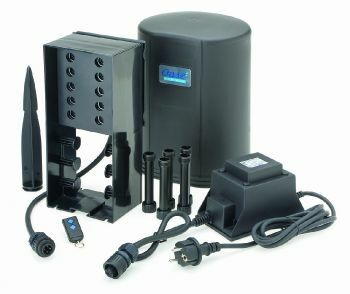 The Water Trio & Water Quintet fountain display height can be reduced via remote control if using a smaller water reservoir.